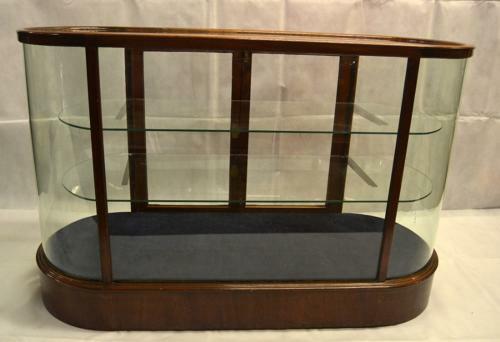 We have this rare beautiful cabinet, with bow glass and blue flooring. There are two adjustable glass shelves, and there is plenty of space for a wide range of products. It has lockable back doors.